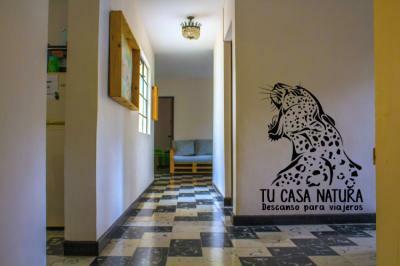 Medellin – Hostels in Medellin. Maps for Medellin, Photos and Reviews for each hostel in Medellin. 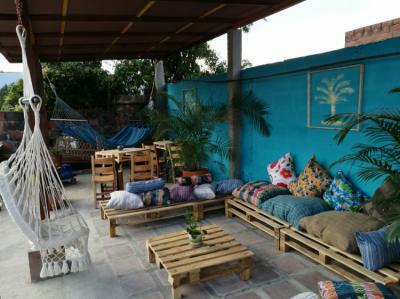 Looking for a hostel in Medellin? Look no further, all the good deals in Medellin are on Dorms.com. Like thousands of other people every month, book your hostel securely at the best price in all neighbourhoods of Medellin. 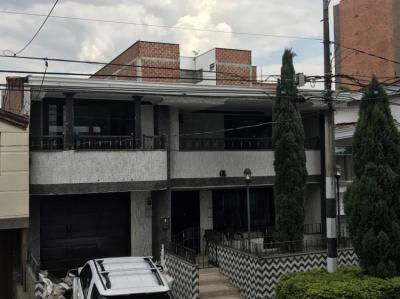 On this site, you can easily find a hostel downtown, in a trendy neighbourhood; a hostel in the student- university district, close to bus or train stations, airports or major attractions of Medellin. Pueblito Paisa is 3 km from the accommodation, while El Poblado Park is 6 km from the property. Olaya Herrera Airport is 5 km away. The hostel has the necessary facilities to have a good accommodation for a few days. Alejandra totally live up to the expectations. She's approachable, kind and made sure to get everyone involved in all sorts of activities to get everyone settled in and meet fellow travellers. Every nook is tastefully decorated. The location is fantastic with tons of restaurants, cafes, and bars on the block, and you can get to Parque Lleras in just a few minutes. The place is great for a budget stay and the rooftop cafe is really nice. Its clean (rooms and property), staff are attentive and kind, food was delish, location is accessible, spacious rooms. Keep it up! The staff are great, they really are. They will do everything to make sure your needs are met. Breakfast was good. Clean hostel. The beds are clean and very comfortable. Its also close to the metro. I enjoyed and will visit again. We are located close to the metro station Aguacatala, also very close to the 2 main roads of the poblado area. The rooms are spacious and beds were comfortable there were hangers and racks to hang clothes. It is a pretty quiet neighborhood. This is more like a hotel. Although it's located in a safe area, I would have preferred to have restaurants options around. It is a walking distance to the metro though. The staff was nice so it was an okay stay. 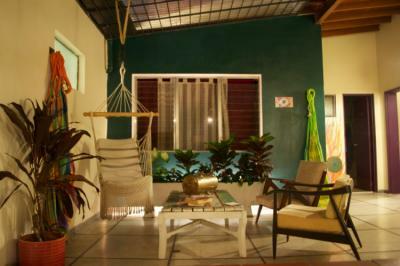 Hostal Casa Prado is located at Barrio Prado Architectural heritage center of the city. Distance to the city center approximately 200 m To the metro station Meadow 400 m approximately To barefoot park, planetarium, botanical garden, park explora among others 2 kms. Our Hostel is located 5km from Pueblito Paisa, street 33 were you going to find all the nightclub life and learn from our great culture. Everything is within walking distance. Shops, restaurants, museums, etc The rooms and beds are well kept and made every day. 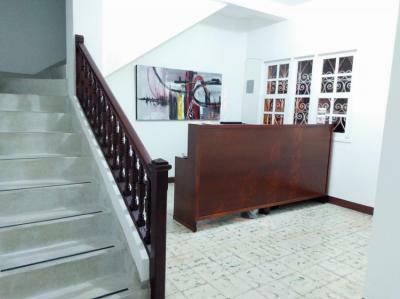 The hostel is walking distance to the metro station and tourist spots. Not a party hostel which is nice that could guarantee a good nite’s rest. We have two metro stations within 10 min distance, we are close from two big supermarkets, in addition, there are some shops and pharmacies, currency exchange, ATM's and banks. Also, one of the main touristic avenues in the city, is just 10 min away, where you can find restaurants and bars. The cafe serves good food at affordable prices. The rooms are quite nice and comfortable but cleanliness could be improved. The hostel is located near the metro, market, shops. 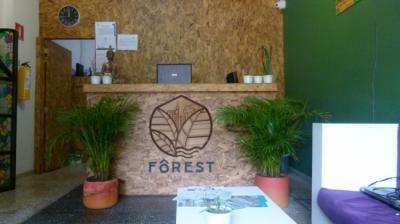 The hostel is beautifully located with good co-working spaces. Not a big fan of the flooring (lol, I know, petty). The hostel is clean, in a good location, with full kitchen, and an amazing rooftop! Great price too! !